Our red wine E Sicché is born to respond to a creative urgency. Because making wine for us is like making art. We are established Wine Makers, but also professional dreamers. In our heads we graven an imaginary bridge between wine and art. We like the romantic idea that the beauty contained in human intelligence can still save the world. But we are also practical, like the staff that worked to create a wine that comes from our “Vineyard of the Morning” and then we keep in that small magical casket that is the underground cellar, where the grapes ferment at a low temperature to obtain a bouquet fruity that is released in the glasses, enhancing the roundness of tannins. The owner of Poggio del Moro, Tania, is part of the “Women of Wine” Association, the largest and most active women’s association in the world of wine and, in Italy, has opened the way to other women’s associations engaged in other economic sectors with a format based on the inclusion of the entire supply chain from who produces grapes to the writer, sells, serves the bottles. The purpose of the Association is clear: to increase the culture of wine and responsible consumption, to promote the role of the Women of Wine in society and in work, to link the Women of Wine by encouraging shared initiatives, training and educational trips, to bring the Wine Women’s voice to Italian and foreign institutions and wine organizations. A way to make the female voice feel even stronger: this is also why Poggio del Moro decided to take the field against any behavior detrimental to the dignity of women. Through the art channel – from wine to works – we build a large megaphone to say a strong NO to gender violence. 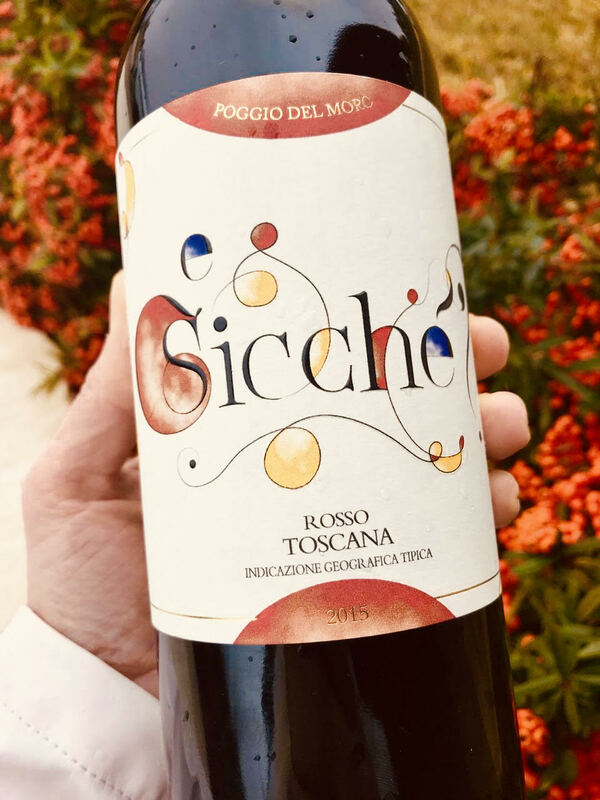 So do not be too surprised if after having poured the last drop of wine, contemplating a sophisticated work of art in the womb of Poggio del Moro, you will be surprised unusually smiling and satisfied. Like the real Tuscans, we are healthy carriers of happiness: as you embrace you, your muscles will melt and your mouth will sing. And at the end you will hear yourself saying: And so – rather, E Sicché – do we open another one?